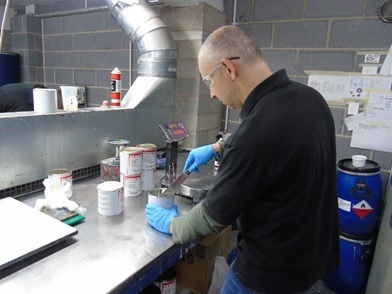 Ok so not the most exciting topic in screen printing but we are often asked by customers to give prices for Plastisol Ink by kg, so we thought this is a good opportunity to explain why screen printers should always buy plastisol by the Litre. 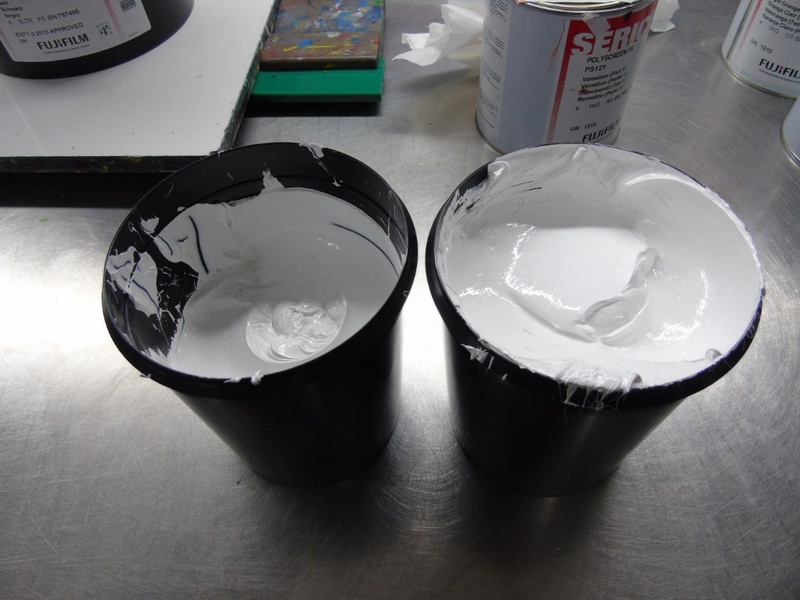 With some help from the Colour Matching team we ran a quick experiment, we compared one litre of WPS Cotton White Premium Plastisol and one kilogram of the same ink. Our Colour Matching experts mix inks to Pantone shades, Ral and BS numbers which all require accurate measurement. 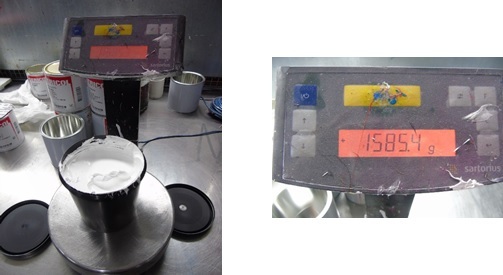 It is very clear that 1 Litre of Plastisol weighs significantly more than a kilogram, this is because plastisol ink has a specific gravity typically 1.1 to 1.4 with some highly opaque inks like WPS Cotton White being higher. 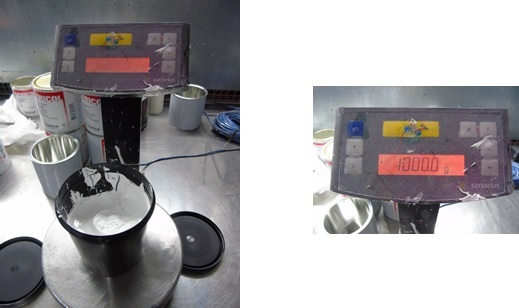 Specific gravity (SG) is the ratio of the density of a substance to the density of a reference substance; equivalently, it is the ratio of the mass of a substance to the mass of a reference substance (normally water) for the same given volume. (Wikipedia). So Plastisol inks like the WPS Premium Mixing Range and the Sericol Seritone range are lighter than the high opacity inks but because of their Specific Gravity you will still have more ink in a litre than a kg measure. All of our standard Plastisol inks are sold in Litres (or smaller).